Hope every one's Labor Day Weekend was good. 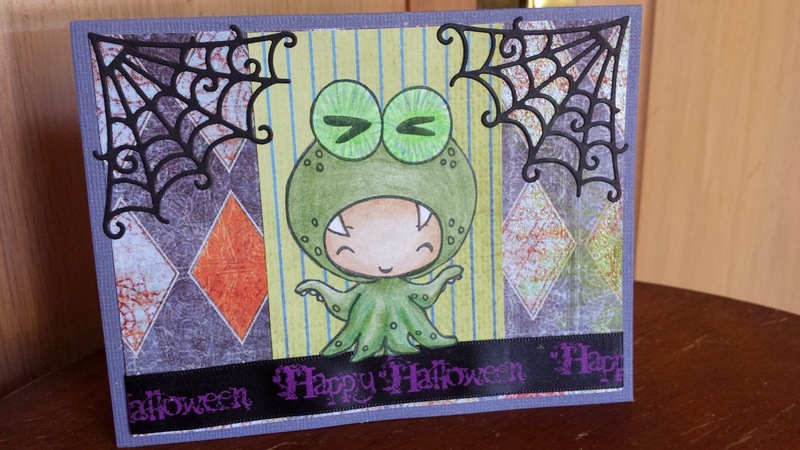 I had a quiet weekend and took advantage of the down time by making up some Halloween cards for my Grandchild to use to give everyone in her class. 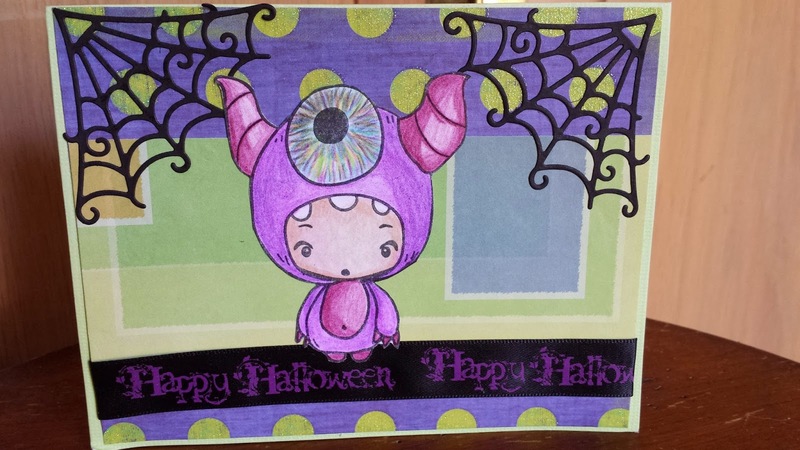 I set up an assembly line, and went to town so to speak, to kick out some simple spooking cute cards. 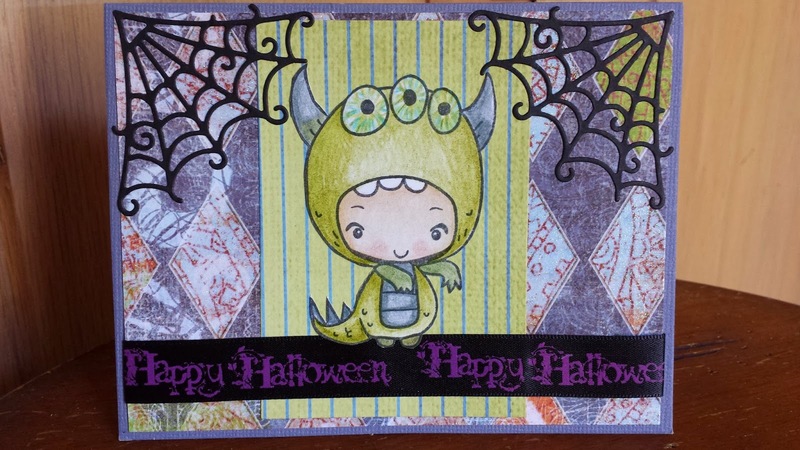 I will show all the samples just because I could not really pick the spooking cutest one to post this morning. Without rambling on and on, here is my latest creations. I hope you like them. All the following stamps are part of a Spooky Stamp Set from The Greeting Farm. 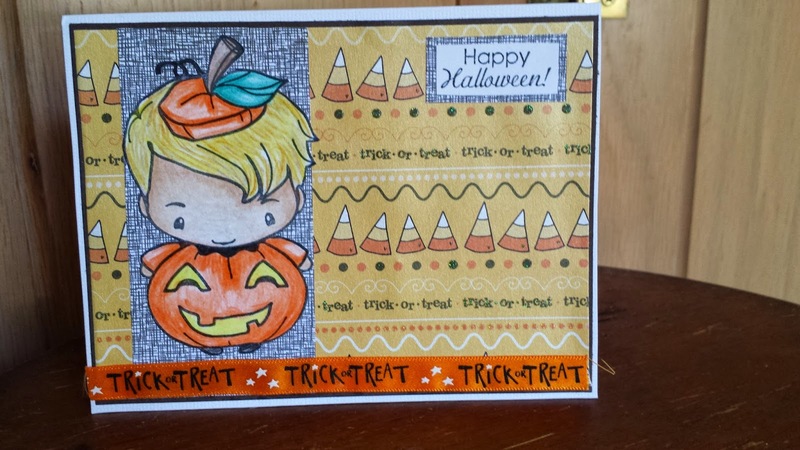 The sentiment stamps are also part of the Spooky Stamp Set. Aren't they spooking cute?!?!? Stamps are colored with color pencils. 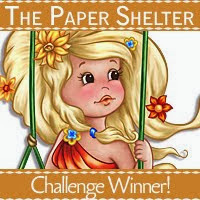 Design papers are from My Minds Eye's Every Day Tango and Heidi Grace Designs' Candy Corn/Jeepers Creepers paper, along with some other papers and colored cardstocks that I had in my stash collection. 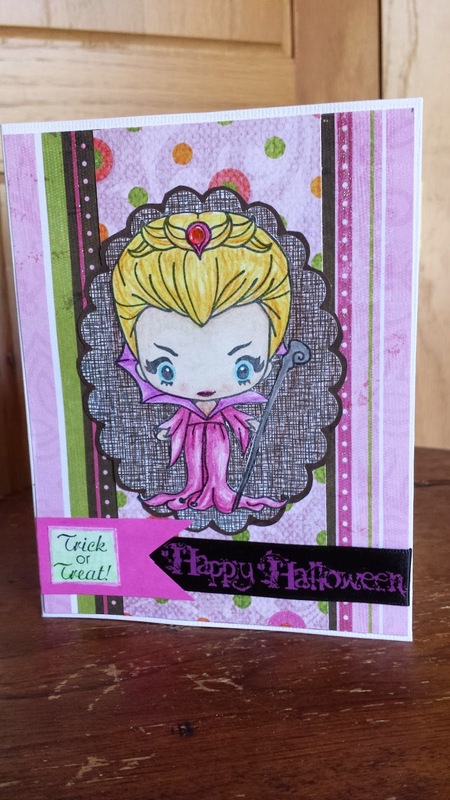 Embellishments are alittle bling on the first card, Trick or Treat and Happy Halloween ribbons on all cards, and used a La La Land Spider Web Die to decorate several of the cards. Thanks for joining us at TGF FFF!